There are more than 6,000 islands spread across Greece. If you were to visit one every single day it would take you more than 16 years to explore them all, says Archimedes, ancient Greek inventor of mathematics. To make it a bit easier for you, you can start with my top seven picks. I know it’s all Greek to you, so why not trust the local and get ready for your big, fat, Greek holiday? You should go to Milos for a variety of reasons! Maybe you want to see the real home of the famous Venus de Milo (GR: Aphrodite of Milos) or because you remember your history teacher telling you about those brave Melians fighting off thousands of Athenians during the Peloponnesian Wars. Perhaps you couldn’t care less about ancient Greek history and instead find yourself intrigued by the 80 exotic beaches and the jewel-coloured waters, like Kleftiko and Tsigrado, or the traditional architecture of the boat garages at the tiny fishing villages, like Klima. Choose to stay in Adamas, the main port and largest village in Milos and make sure to queue at one of its traditional bakeries early in the morning, in order to treat yourself to a precious piece of watermelon pie and a Greek frappe. Don’t miss out on the local meat and cheese dishes of the restaurant, O Hamos, whose produce is brought straight from the owner’s farm. If you are a fish lover, just go for the sun-dried and grilled octopus or simply the fish of the day at the seafood restaurant, Enalion in Pollonia. Do yourself a favour by visiting one of the most famous Greek beaches, the Sarakiniko, which is surrounded by white, moon-like (but smooth) rocks and cliffs, that give off the feeling of an astonishing lunar landscape. A 1-hour ferry ride brings you from Milos to this little treasure. Folegandros is tiny and rough and home to more small, white and shiny churches than actual inhabitants. There is a handful of beautiful and remote beaches too, just be prepared to spend your day on the little boats taking you to one after the other. Folegandros was discovered quite late by tourists and this has allowed the island to preserve its character and physiognomy to the fullest extent. Wander around the narrow paved streets of the medieval Kastro, climb the Panagia rock and take in the panoramic view of the Aegean Sea for the most picturesque sunset you’ll ever experience. Make sure to taste matsata, the local handmade noodles usually served with home grown rooster and red sauce. 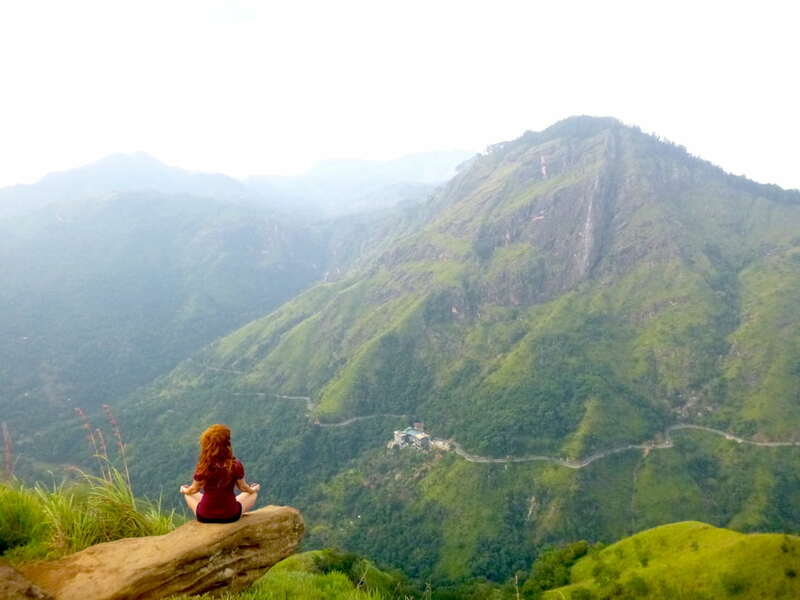 But the real reason why I keep returning to this remote part of the world is its Chora, the old village on top of the mountain. 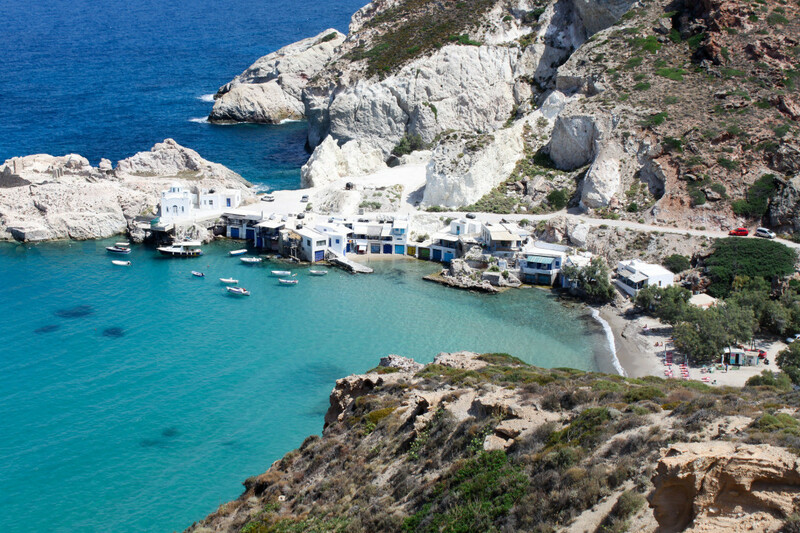 In a nutshell, Folegandros’ Chora is the most charming little Greek village you will ever see. Period. 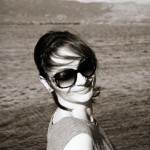 Lefkada is where we Greeks go for our summer holidays. 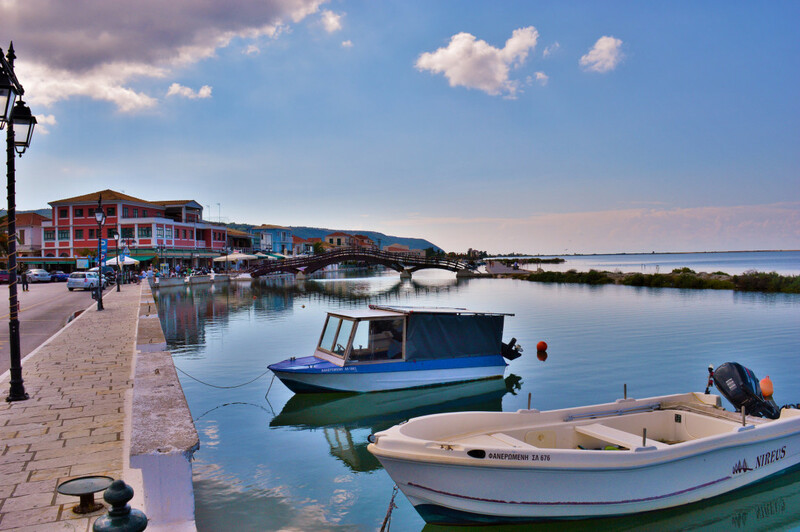 The fourth largest island of the Ionian Sea, Lefkada is connected to the mainland by a small bridge and features crystal clear waters in a bright blue hue that you might expect in the Caribbean, but definitely not in Europe. 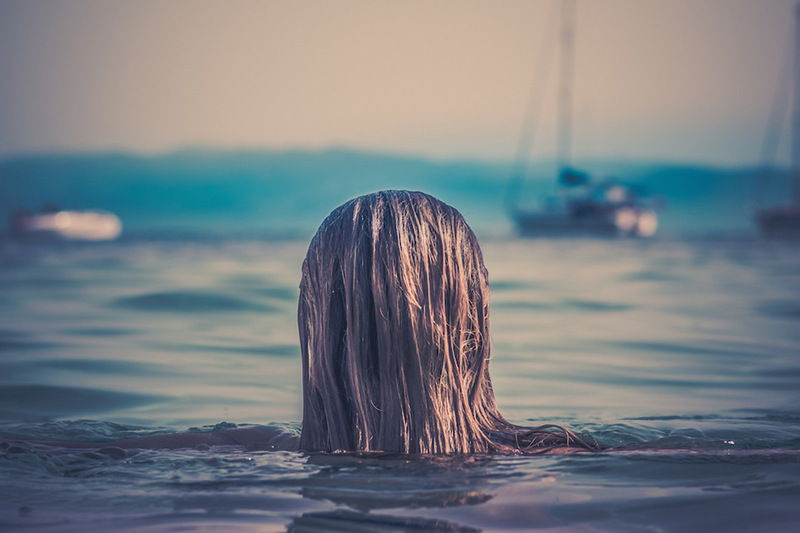 The waters are the perfect contrast to the lush green forests that make you forget you are actually on an island. If you appreciate the beauty of a beach, this will be your own personal paradise on earth. Aristotle Onassis, our famous shipping tycoon, had his home here (on the privately owned Skorpios) for a reason. The amazing shoreline includes some of the most famous beaches in the world, such as the beach of Porto Katsiki, as well as Egkremni, Mylos, Kalamitsi, Agios Nikitas, and Ai-Giannis for the windsurfers. Kathisma is my personal favourite, not only because it was the beach where I spent my hot summer afternoons as a child, but also because the white sand in combination with the transparent, turquoise waters creates a sense of infinity hard to find elsewhere. Moreover, Lefkada’s plateau of Englouvi is famous worldwide for its lentils, which are cooked with garlic and oregano to a thick, creamy and heavenly consistency. If you are here in August make sure to attend the International Folklore Festival, where artists from all over the world exchange their precious heritage in the name of peace, friendship, fraternity and solidarity. When we want to escape the scorching hot Athens’ summers, we go to Rafina harbour and hop on one of the ferries to Andros, the northernmost island of Cyclades, the perfect weekend destination. For some reason, many of Greece’s richest shipowners are from this place and have taken good care of “their” island, which has led to many interesting art museums located in the Chora, its capital that frequently hosts world-class art exhibitions. 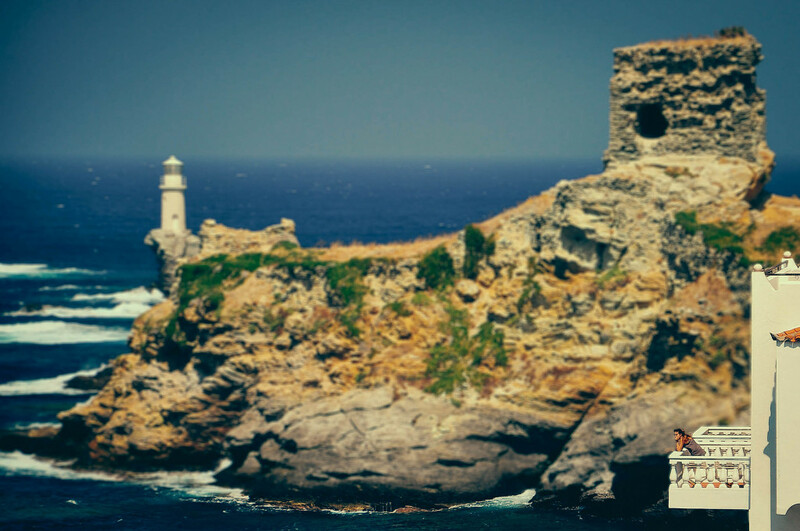 Andros is known for the elegant architecture of its Chora, the green landscape of the inland and the fabulous beaches, including Golden Beach, Agios Petros, Batsi and Korthi. 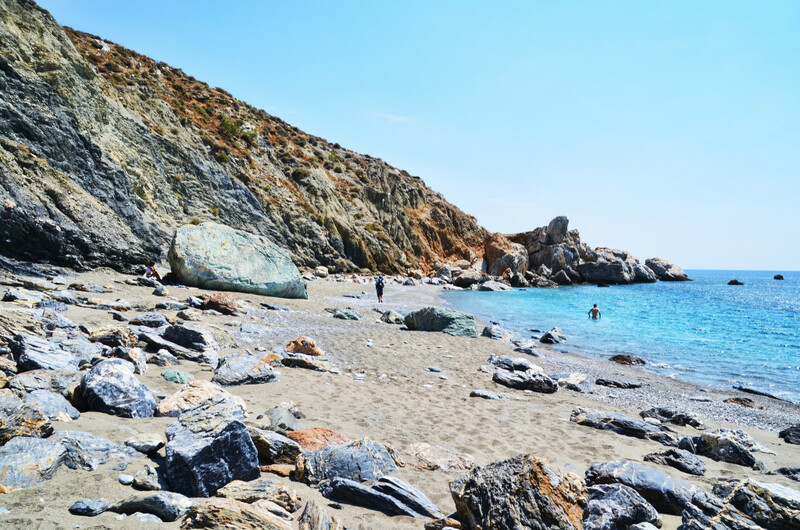 You also can’t forget the less accessible beaches as they are definitely worth visiting, like Ahla and Vlychada. When I am in Andros, I like to wander around the many museums of Chora, visit the lovely small villages of the inland and feast on the traditional, yet very tasty omelette with sausages, frutalia, before heading to my favourite beach with the unpronounceable name of “Tis grias to pidima”. Paros is one of my all-time favourites. This island is picture-book Greece at its best with its tiny houses accented by their contrasting white paint and blue coloured doors and windows, hypnotizing windmills, countless beautiful beaches and romantic strolls through the village of Parikia. 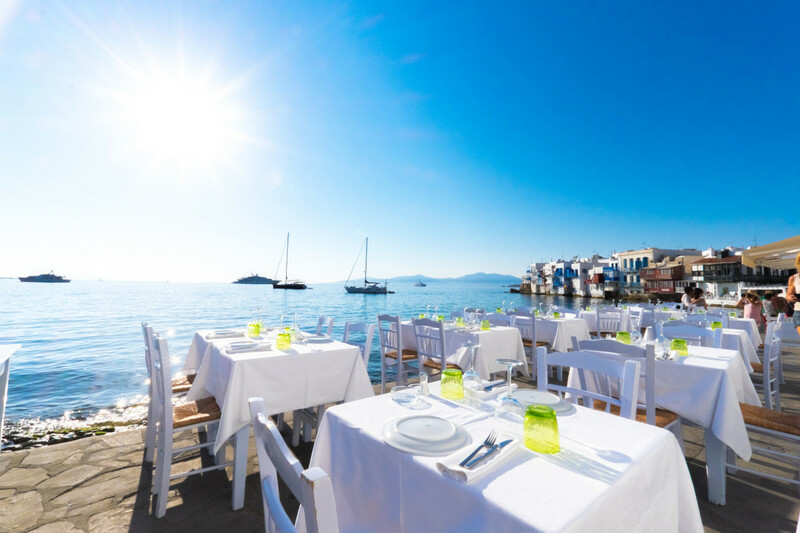 Moreover, Paros has a nightlife that easily rivals that of the famous Mykonos in Naoussa, the beautiful fishing village located in a huge bay in the northern part, 10 kilometres east of the capital. In summer, the whole town of Naousa turns into one big open-air club that will have you partying and dancing until sunrise. If you are into windsurfing, you might have heard of Chrissi Akti, the venue for the Windsurfing World Championship and should pay it a visit. 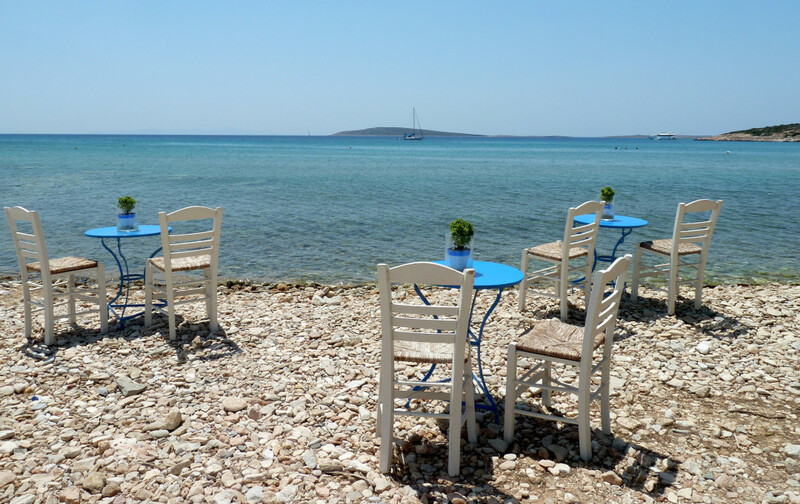 Paros is ideal for everyone regardless of your age and lifestyle. Rent a car and enjoy swimming in Kolymbithres with the unusual natural landscape of impressive white rock formations, the unrivalled beautiful Santa Maria, or party till dawn at Pounta Beach. Mix and mingle with the locals while visiting their traditional villages full of quaint squares and narrow marble alleys and let them treat you to the fish they caught earlier that day. Yes, what you have heard is true. All of it, and it’s only one part of Mykonos’ story and glory. Leonardo DiCaprio flies to Mykonos to relax from fighting bears. The likes of Alessandra Ambrosio, Adriana Lima and their Victoria Secret friends roam the island’s clubs and beaches. Mykonos is the undisputed party capital of the Aegean Sea. In the early morning hours, when everyone is either still sleeping or still partying, the real insiders go to the crystal clear beaches of Paragka, Agia Anna, Elia and Kalo Livadi to enjoy the tranquillity. If you prefer to be followed by the paparazzi and photobomb the world’s jet setters, you should choose the beaches of Psarrou, Super Paradise and Panormos. You probably know that you can party non-stop at Mykonos’ Chora, the Matogiannia, while shopping the latest trends. You’ll also want to stop and take a photo of you enjoying your cocktail at one of the world’s most photographed spots, Little Venice. This picturesque spot is home to seven old whitewashed windmills, the island’s trademark. What you might not know though is that you can enjoy a lovely stroll in the Chora and cuddle with some friendly pelicans, count more than 60 little churches in the town center and go by boat to the astonishing tiny island of Delos nearby, where according to Greek mythology, Apollo the god of music and daylight, and his twin sister Artemis, goddess of the hunt and the night light, were born. Tired of the rocky and wild landscapes of the Aegean islands? No problem! Go to Corfu (GR: Kerkyra), the northernmost island of the Ionian islands group, and explore the dense vegetation of rich olive groves reaching the coast and the emerald waters of Paleokastritsa, Agios Gordios and Glyfada. 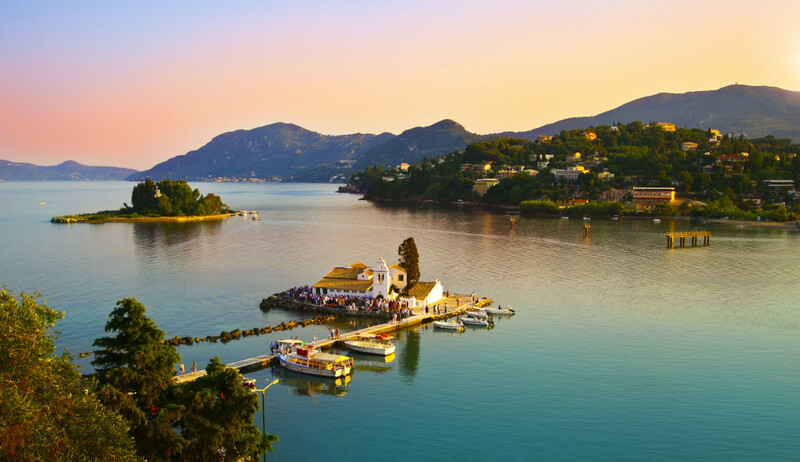 One of the most popular holiday destinations in Greece, Corfu is famous for its capital and main port, one of the most elegant and impressive Greek towns with an architecture influenced by every civilization that once occupied the island, such as the Venetians, the French and the English. Corfu’s old town, which is a UNESCO World Heritage Site, is the perfect place to wander the maze of narrow streets and peaceful squares and to try out the local wonder dish of Pastitsada with rooster and tomato sauce. Between the tightly packed buildings of the old town and the magnificent Old Fortress, east of the old town, you can find Esplanade, which claims to be the second largest square in Europe and where locals play cricket, a game passed down to them by the British. Make sure to catch a boat from Kanoni harbour to explore the two little islets that rise from the sea. Definitely worth visiting is Mouse Island (Pontikonisi), which is often featured on postcards. You will quickly come to realize why the Empress Elisabeth of Austria had her summer residence, the famous Achilleion, on the island back in 1890.